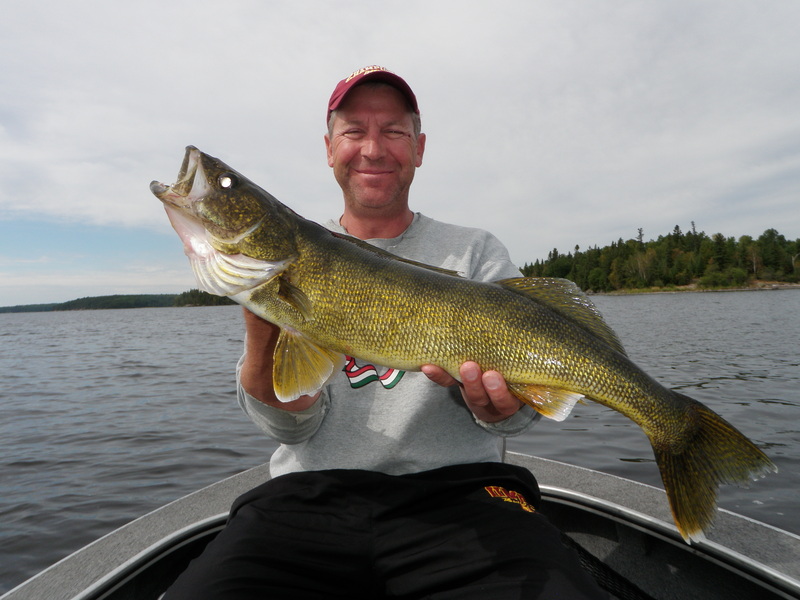 A major weather system moved through northwest Ontario this week. After seeing virtually no rain in the months of July and the early part of August, the skies opened up yesterday and we had a month’s worth of rain in about an hour and a half. 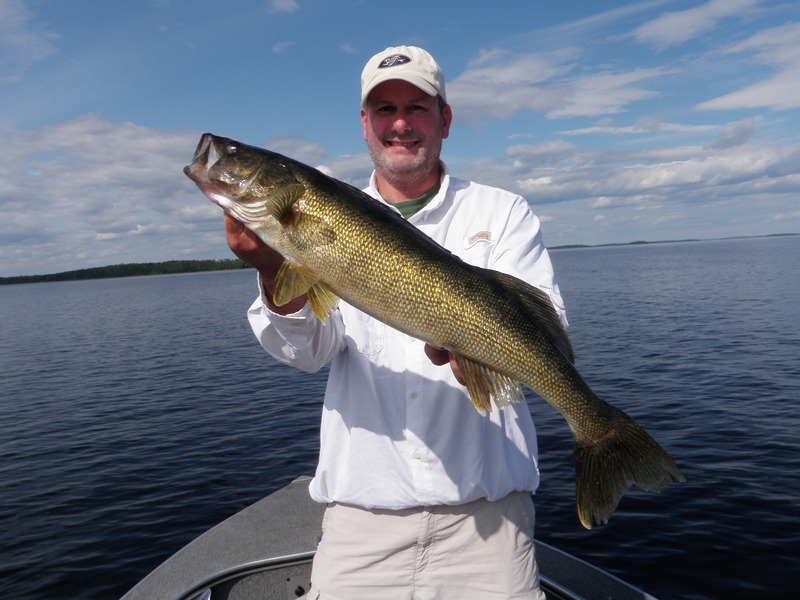 Yesterday was a wild ride on Lac Seul and the smart guides were close to camp when it all cut loose. For the record, when you see a cloud coming towards you turn a shade of turquoise blue and sink, it is time to get off the lake. We had 40 mph winds and hail and more rain than the ground could hold. It was the kind of sky that people take pictures of before the storm hits. 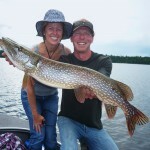 We had another round of serious cancellations this week. 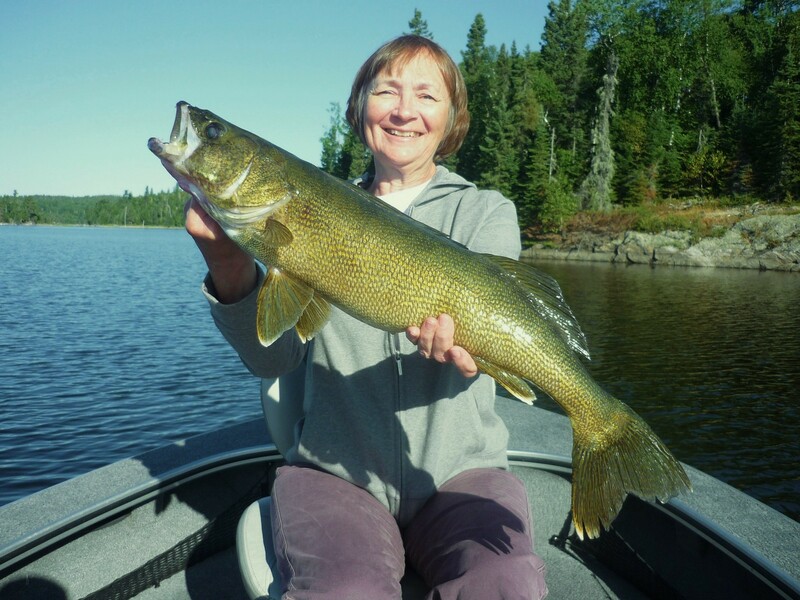 In fact, I only had 56 guide sheets this week, which means that there was an average of 7 guides on the lake instead of 13. Despite the decreased pressure, production remained very strong. 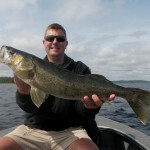 I did not find my share of big walleyes this week, but the boys made up for me with 30 over 27in., including 4-28s. 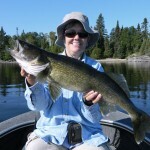 Volume was very good with guide sheets averaging 40 walleyes over 18 in. per day. The highest daily total was 56. We have continued to rely heavily on the 5 in. Gulp Alive Crazy legs Jerk shad with ½ – ¾ oz. 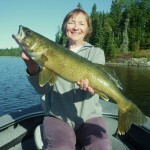 jigs pulled fast in deeper water. 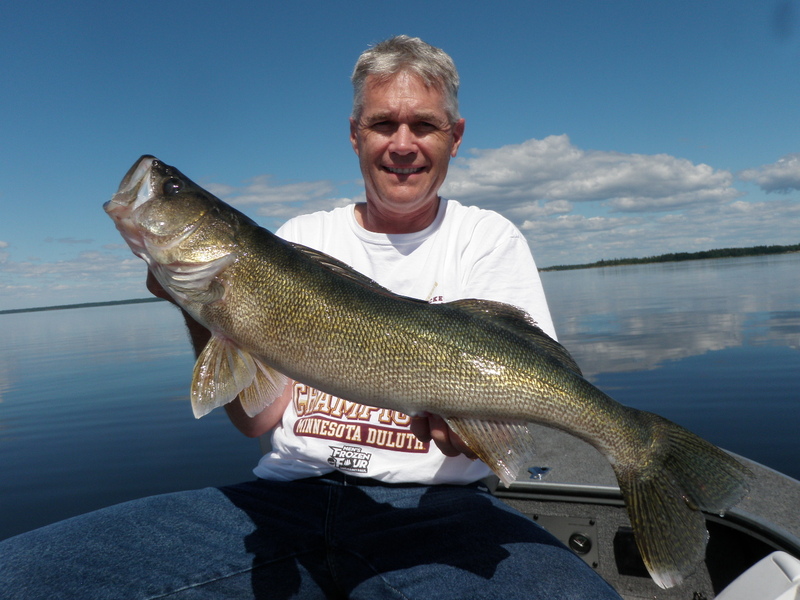 It is a great search system when you have a few active walleyes spread out on a flat and it also helps to locate pods of walleyes. 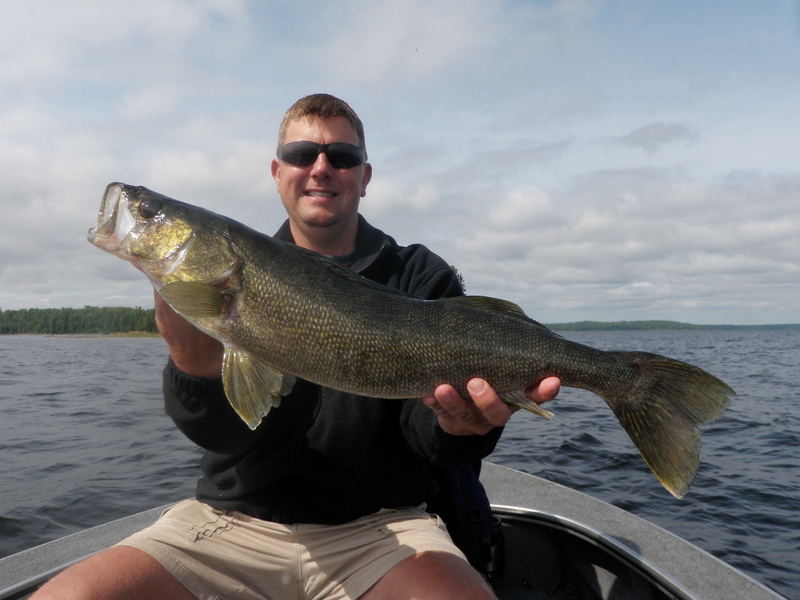 We may only pick up one or two with the big plastics, but we can mark the group and go back and work that spot over with lighter jigs and minnows. 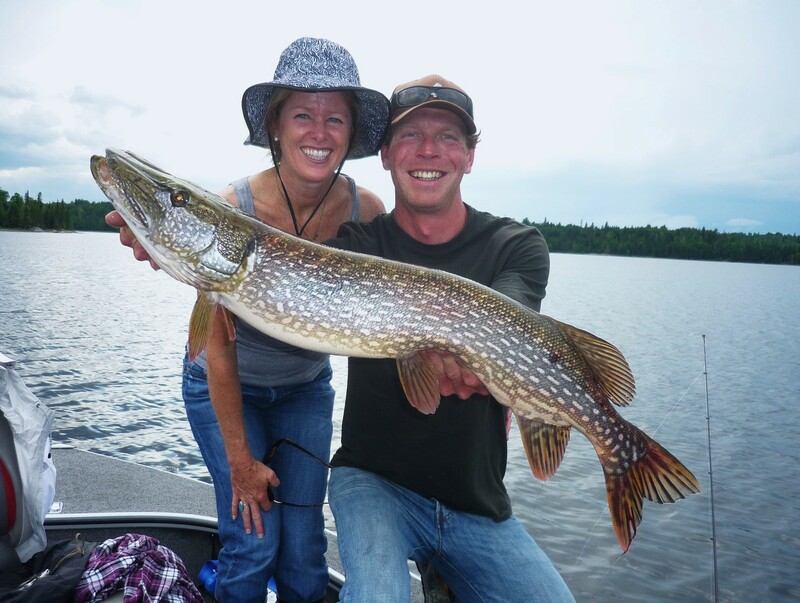 The most difficult time for guides to locate fish is when they are moving back and forth between shallower or deeper locations. 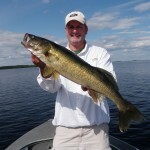 This system saves hours of search time and gets us on big walleyes fast whether they are active or not. 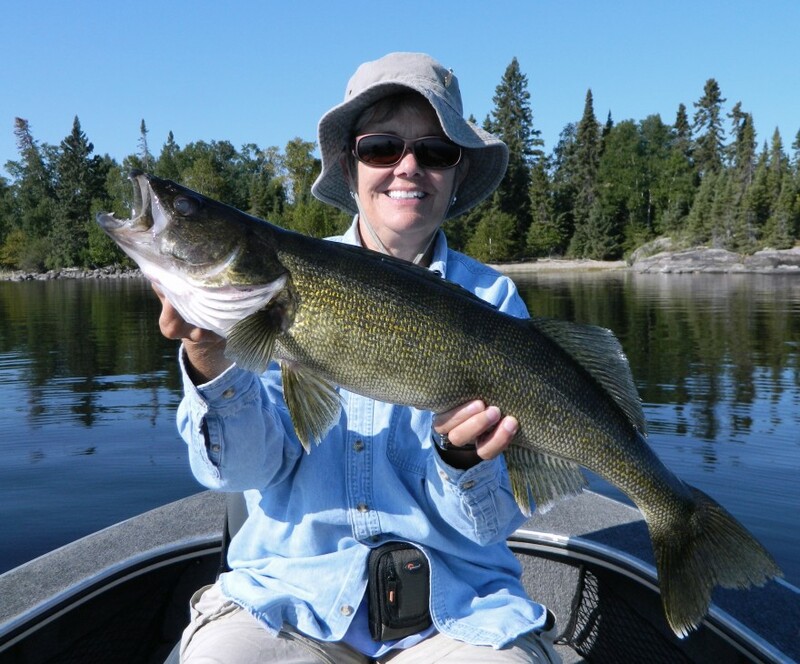 Years ago when we were in the middle of a huge big walleye peak, I failed to point out to my groups that we were experiencing an anomaly that would not continue into the future. 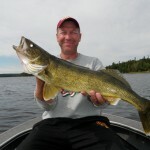 For the tenth time this week, I have been told how surprised guests were by the number of 23+ inch walleyes we see every day. 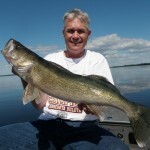 When a guide boat catches 15 walleyes over 24 inches in one day it should shock people. It does not faze SWWL guides. They appreciate it and understand that it is awesome, but it is happening more and more often these days. 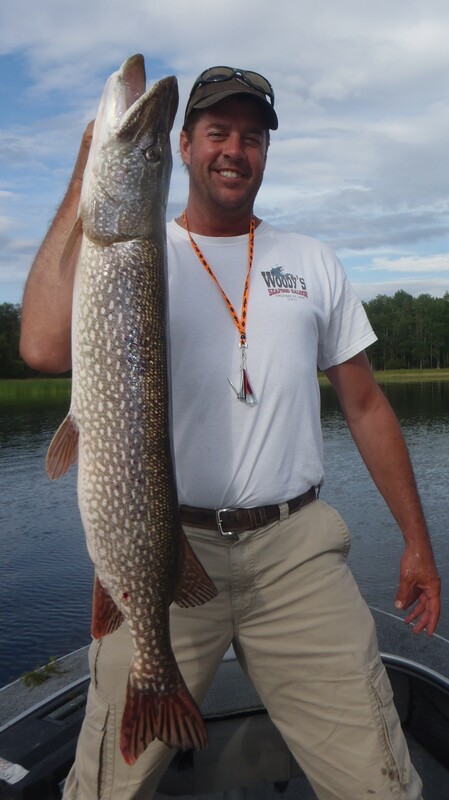 There was very little effort spent chasing big pike this week, but Bob Ernst did chase down a giant 42.75 in. 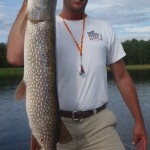 giant on a Poppa doc spoon. Nights have been cooling down into the 50s this week and there has been fog on the lake the last 2 mornings in a row. Water temps are just starting to cool by a few degrees, and there is just a hint of Fall on the way.